Living and Learning: So What???? 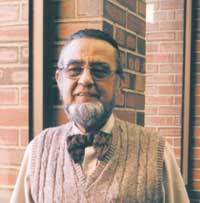 Maybe, no...most definitely, it was my beloved college sociology professor, Dr. Fahs (pictured here), who lit the torch of my anthropological spirit. After each furlough assignment, he would bounce into the classroom full of new life and enthusiasm because he got to learn, again, from a group of people he didn't know at all before his research. I was privileged to accompany him to the Honduran Island of Roatan where a unique people, the Carib Indians ( a blend of escaped African slaves and native Central American Indians) existed in a 'world of their own'. We couldn't wait to learn about them and from them. He always said, "Get rid of all of your assumptions and preconceived notions. Spend every second learning them and loving them. Ask questions and see what makes them who they are and do what they do. Go out and LEARN their lives!" I loved every single moment I was with him, and he died way too young. What a life-long impact great teachers have on the very core of our being. Maybe that's why I am always reading, what I call, "Umbrella Books" along with education specific books. Umbrella books are written by the inspiring anthropologists out there who are studying the "why?" of culture and peoples, and spending all of their energy shining light on what's really going on and what we should be prepared for, or know in order to be ready for our future. How can we become equipped to help others in an educated way? Especially the next generation, our students? Daniel Pink's mantra is, "We need to prepare our kids for their future, not our past." That is something I think about each and every day. How am I doing that for my students? One way, I'm convinced, is to know from these thinkers what they believe is really going on out there and what the future will look like...who we will need to serve. So I read, and read....and read. Malcomb Gladwell is WAY up there for me. So, imagine my surprise while rereading That Workshop Book by Samantha Bennett, when it described how one teacher used one of Gladwell's articles to guide a year-long humanitarian study on homelessness. I can't recommend his work highly enough, and use the ideas from his work all the time in my classroom to model important questions and inquiry with the highest of purposes...knowing who we really are and how we can make a difference in the world. Why I use him as a model of inquiry...he makes NO assumptions (or rather, he tests the assumptions out there and looks in every corner to see what we might have missed), he is incredibly observant and creates essential questions that lead to powerful discoveries. He finds multiple resources and experts in his quests, and Malcomb also has an incredible knack for making analogies and comparing his content to other situations/research he has conducted. He leaves the reader wanting to know more and deepens our understanding of who we are and what we're doing in this world. He's also a great writer and teaches with stories! I have all of his books and almost every article he's ever written in the New Yorker. 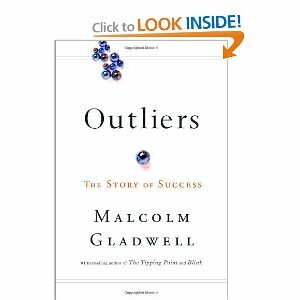 I have used the concepts/ideas in almost every chapter of Outliers to enhance my students' ability to ask questions and form hypotheses. They love the seemingly inane topics he's curious about (What's up with ketchup choices compared to mustard?? There's actually a fascinating story there!!!) and, consequently, they dare to be curious about everything under the sun. 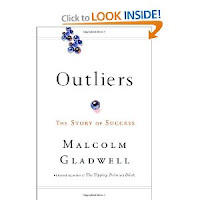 One example from Outliers is the "10,000 Hour Rule". They are intrigued to learn (based on extensive research) that while some kids have innate talent, people who don't use it, lose it, and MORE interestingly, people without innate talent can make up for it if they put in 10,000 hours of practicing on a skill they're motivated to learn. How meaningful to let our students know they can do ANYTHING they want to if they want it badly enough! 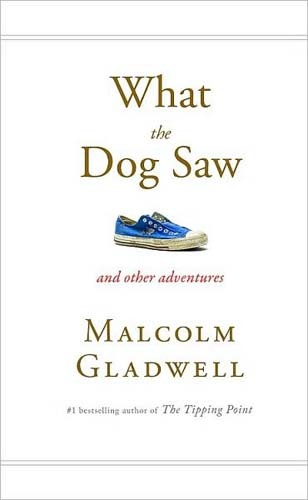 After making the Gladwell connection to That Workshop Book, I have poured anew over his work and am devising more ways to incorporate his brilliant work into my students' thinking. After all, "It takes a village," and I'm so grateful to have these minds in our midst. I would love to know if any of you have found the profundity of his work for classroom learning? Who else should we know to help students be "prepared for their future and not our past? To Dr. Fahs...How I wish we could talk about Gladwell together!!! !